Life Ministries Church was founded under the direction of the Holy Spirit. The Lord gave the name LIFE, meaning Live in Faith Everyday to our pastor, Dr. Walter Capers in March 2007, confirming many prophecies he had received down through the years. Our pastor stepped out on faith to do the work that God had called him to do. Dr. Walter Capers is the son of Clarence and Virginia Capers. He attended Beaufort County Schools, graduating from Beaufort High School in 1976. He accepted Christ into his life at an early age and became a member of the Ebenezer Baptist Church. Through the encouragement of his friend and cousin, Brother Carl Chisholm, he started visiting Friendship Holiness Church. He became a member under the leadership of Bishop Willie and Josie Webb. In 1977, after a year of studies at Denmark Technical College, he joined the US Army. In November of 1981, he accepted his calling into the ministry under the leadership of Elder Warren K. Brown, pastor of the Prayer and Faith Temple Church of God in Christ in Columbus, Georgia. Dr. Walter Capers was the pastor and founder of Friendship Holiness Church II in Columbia, South Carolina. He was deployed at different times to Kuwait and Egypt and ministered to soldiers in the field. Dr. Walter Capers was the assistant pastor of Greater Realness Church of God in Christ (COGIC) in Dexhiem, Germany. 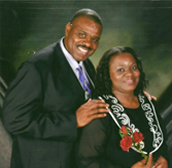 Dr. Capers was also the assistant pastor of Divine Deliverance Church of God in Christ, in Waynesville, Missouri, under the leadership of Dr. Clifton Ruggs. He also served faithfully as the Second Field Overseer of the Friendship Holiness Church for many years. Later, he became the interim pastor of Rose Hill Baptist Church. Pastor Capers attended C.H. Graham Bible Seminary, now known as Carolina Christian University. He received his Bachelor Degree in Christian Education, a Master's Degree in Christian Leadership, and a Doctorate in Pastoral Leadership. non-denominational church in Beaufort, South Carolina.